As we survive the wintery cold of early 2019 it may be a good time to look back on one of the most anticipated releases of 2018, from Riverside, a Polish band who have become one of the world’s most popular and notable of the newer generation of Progressive Rock bands. They have intelligently curated their career through gradual styles encompassing Floyd influenced musical landscapes on their debut album Out of Myself in 2003 through to crunching crisp Prog-Metal on 2009’s Anno Domini High Definition, right up to the sumptuous melodic progressive rock masterpiece of 2015’s Love, Fear and the Time Machine. Their smooth progress was tragically curtailed by the sudden death of guitarist Piotr Grudziński in February 2016, which made some of Love, Fear and the Time Machines lyrics seem oddly prophetic and poignant. 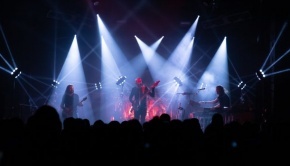 After such tragedy the band understandably took some time before deciding what to do, but completed an emotional tour in 2017 with Maciej Meller standing in on guitar. 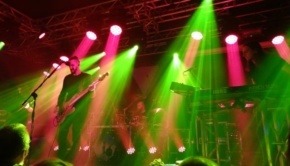 Eventually Riverside decided to proceed effectively as a trio with guitar duties partly handled by bassist Mariusz Duda with some guest contributions. After so many years together as a tightly bonded band it must be very difficult contemplating replacing their long time friend. So what are the results? The loss of Piotr Grudziński inevitably casts a shadow over this album, particularly on the mournful opening mainly vocal track The Day After, before Riverside slip in to their familiar assured crunching rock territory in the first half of Acid Rain with insistent chopped guitar rhythms, echoing familiar patterns from their earlier career and reminiscent of Porcupine Tree, overlaid with Michał Łapaj’s distinctive synth runs. This almost feels like a deliberate harkening back to their earlier career in a style so associated with their sadly departed guitarist, but then being Riverside they cannot resist skilfully applying an imaginative cathartic twist. The Dancing Ghosts second part to Acid Rain smoothly flows in a groove laden bass from Mariusz Duda under his own high guitar licks and a wordless emotional chant, seemingly presaging a more optimistic outlook… possibly? Whatever, it’s an outstanding song which fuses the crucial elements of Riverside together – their ability to hit you with driving rock riffs and then beguile you with hypnotic melodies. Indeed, that one song may just encapsulate the tensions and elements that make up this album. Vale of Tears plunges the album back into a metal maelstrom, with a particularly scintillating solo from Maciej Meller in the second half, whilst the following song Guardian Angel is a emotional elegy with a feel of rainfall on a lake making delicate patterns in the water’s surface. Mateusz Owczarek glides in with a crystalline, fragile guitar motif just above that surface – it’s utterly beautiful. Lament commences with acoustic guitar before we return to more familiar powerful Riverside chords. However, this song stands out as a piece which introduces more unusual instrumentation as in the middle Duda plucks a banjo followed by Michal Jelonek adding a violin. These instruments add a bit more humanity amidst the power chords, and Jelonek’s mournful violin outro leave us under no illusions as the emotions suffusing this song and album. The centrepiece of the album is a captivating instrumental The Struggle for Survival. Subsections titled Dystopia and Battle Royale tell us all we need to know about the atmosphere evoked by these parts with a sinister rhythm at the beginning, with weird horn keyboard sounds and a chugging insistent bass. The Battle Royale section is ignited by a coruscating solo by guest Meller over Piotr Kozieradzki’s thumping drums. This really is a grinding, muscular musical tour de force with the whole band furiously contributing, Michał Łapaj throwing a snake like synth solo into this potent mixture. It’s been a while since Riverside played an instrumental epic on one of their main albums, and let’s hope it’s not so long until the next time. That could conceivably be a reference to The Same River, the opening epic song on their first album on which Grudziński shone with his fluid Floydian guitar skills? Duda also shows a surprising ability to wring even more emotion out of a guitar with a finely judged solo to conclude this sad piece. The Night Before bookends the album, which began with The Day After, as Duda sings beautifully over Łapaj’s gently flowing piano. Duda is clearly one of the finest vocalists in modern progressive rock. The Night Before gives a sense of maternal warmth and assurance, protecting you from the dangers out there in the dark. It’s a lovely ending to this powerful and touching album… and yet I had reservations about this album, and I am a fully confirmed ardent Riverside fan! 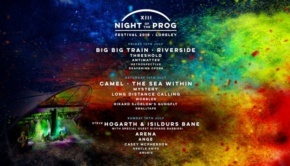 Considering the title track Wasteland may help to outline these slight ‘niggles’. Once again the song Wasteland brings the conflicting elements of Riverside together, with an interesting use of Theremin by Łapaj midway through the song… but I could not help thinking ‘Haven’t we already done this sort of thing before… a few times now?’ Whilst this is a solid song with characteristic Riverside class, for me there was a feeling with this song, and elements of the whole album, that perhaps this was rather treading old ground. There are definitely strong echoes harking back to earlier albums, and maybe their great personal loss has understandably impelled Riverside in some ways to think back to happier times with their lost friend in earlier days of the band? 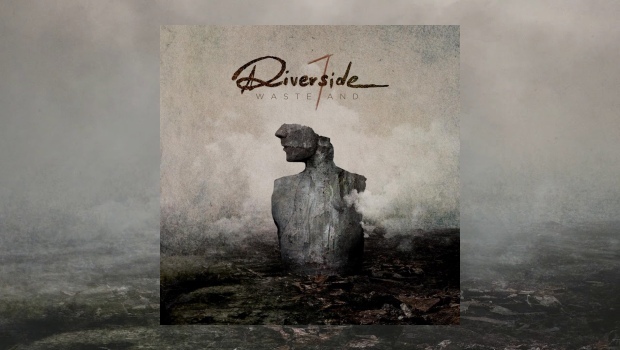 Maybe I am asking too much of Riverside as most bands would give their eye teeth for their undoubted class and quality, but with such very high standards and a history of progression in their albums it’s notable for me if there is some sense of ‘treading water’ in their album. 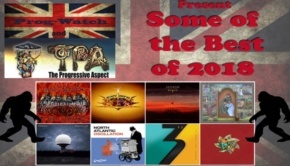 Inevitably and deservedly Wasteland finished highly in all the end of year Polls and Round-Ups of the ‘Best Progressive Rock Albums of 2018’ as it is an emotional, powerful and skilful album. Perhaps this is the album this emotionally scarred band simply had to make to process their feelings of loss. With Mariusz Duda’s excellent parallel project in Lunatic Soul presenting his emotions and vision very differently it will now be fascinating to see in which direction Riverside move after this musical act of Catharsis. Wasteland is imbued with some nostalgia in style and saturated understandably with melancholy… but there is also a sense of light dawning after a dark night of the soul. – Part I. Where Are We Now?